How is it possible that it is already May?! I don’t think I’ll read the other books in the Stone Gap series. It’s one of the few books that I think would be better as a movie than a book. How is your 2013 reading going? Previous article: Project Life Tuesday: Lots of Weeks! Next article: It Worked – I Read an eBook Yesterday! I really can’t express how incredible the Kindle app has been for my reading habits. I used to read pretty frequantly, then I had my daughter and it went from a book every month or so to none; I always always running around but when I got the Kindle app on my blackberry, I could read while she was in the bath or waiting for my prescription or on break at work. TOTALLY! I did that some last year, but then stopped for some unknown reason. I can’t wait to report next month on if my reading increases. I bet it will. 🙂 AND, I’m so excited about all the new ebooks from that bundle that I can’t wait to start reading a bunch of them. Oh no! You have to read the others! Especially the last one about her relationship with her daughter! It made me think about how my daughter and I interact and about finding that balance between setting limits and encouraging independence. I think the series books are stronger than her other novels, which were designed to stand alone. I liked Lucia, Lucia, but it didn’t end quite the way I hoped and I wanted more character development of the neighbor rather than having her just be a plot device for setting up the memories part of the narrative. That said, I still liked it and it was a fun, quick read. are any of these titles for the over 50 set? For a gift? I think anyone would like The Shoemakers Wife. My aunt recommended it to me and she is in her 50s. In April I read Eat, Pray, Love for my new book club…not a fan because I had a really hard time getting into it. It was so slow and I felt the entire book was a struggle. I also read Little Bee, The Zookeeper’s Wife and Big Stone Gap. I liked Little Bee and Big Stone Gap…I am the same way….I could take or leave the rest, but after reading Laura’s comment above I might take another chance and read another one. The Zookeepers Wife was also a challenge for me, but I made it through. I just started the Shoemakers Wife and I am enjoying it so far. Thanks for keeping me motivated! I think you will love The Shoemaker’s Wife. SO good. I cried at the end. Okay, interesting. 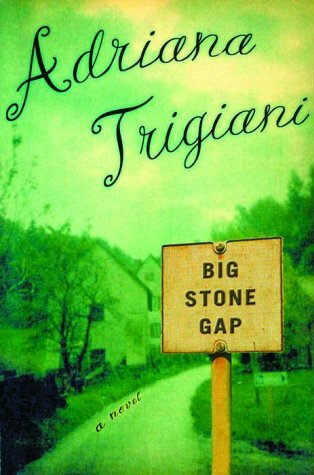 I read Big Stone Gap a few years ago, and while I thought it was really good, I didn’t ADORE it or anything. So when people started raving about The Shoemaker’s Wife, I just didn’t know if I wanted to read it. I’m glad to hear your comparison – and I just put it back on my to-read list! Yes, it is a MUST read Mary!